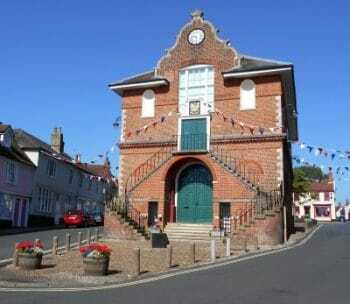 Originally built in 1575 by Thomas Seckford, the Shire Hall has served as a focal point of Woodbridge for over 400 years. Originally, the upper part of the Shire Hall was used for judicial purposes while the ground floor served as an open corn market. Market Hill remains a busy hub of Woodbridge with numerous markets and events held there throughout the year.